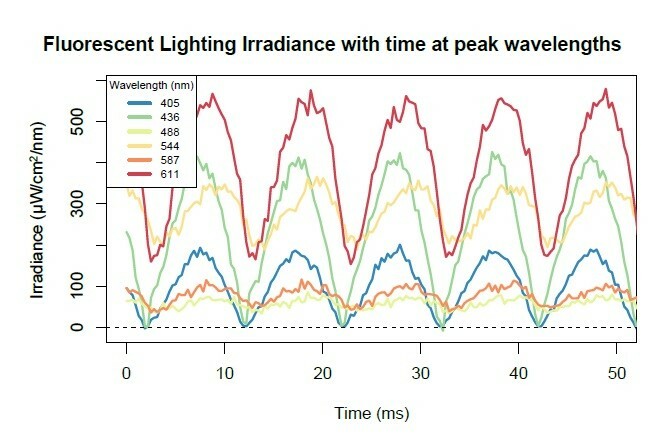 Through a phenomenon called "persistence of vision," the retina continues to report the presence of a source of light for 40-50 ms after it has disappeared. 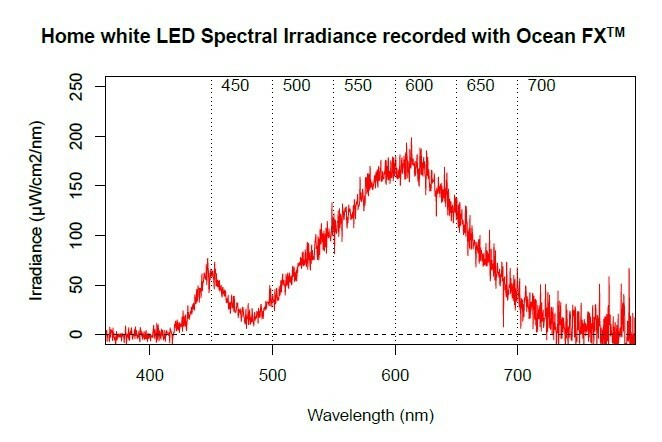 You see it when you wave a sparkler in the dark, as if the eye is performing some averaging of the light signal it receives. 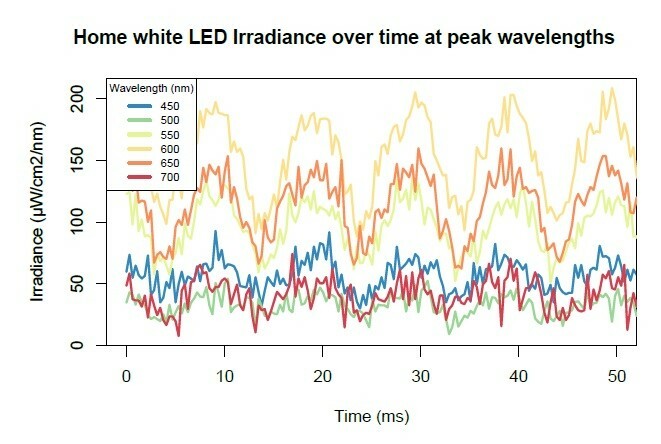 By nature, we’re more likely to see a rapidly moving object – on time scales as short as 13 ms for some, like pro athletes – but variations in intensity and color at those same time scales are harder to perceive. 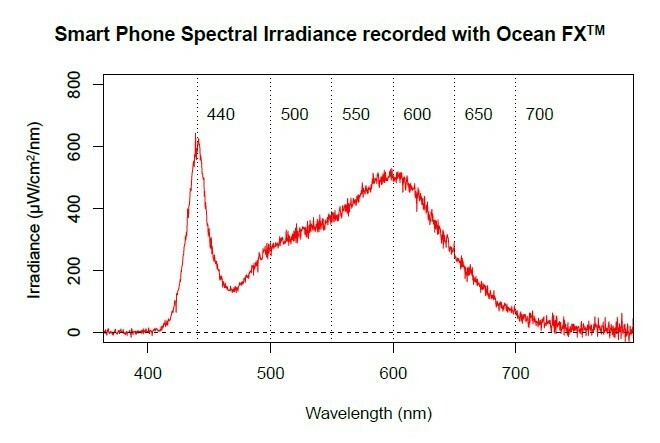 What is interesting to observe is that not all wavelengths oscillate equally “deeply” -- i.e., the 405 nm and 436 nm mercury lines oscillate all the way to zero, while the other lines only dip between about 70% (611 nm) and maybe 30% (544 nm). 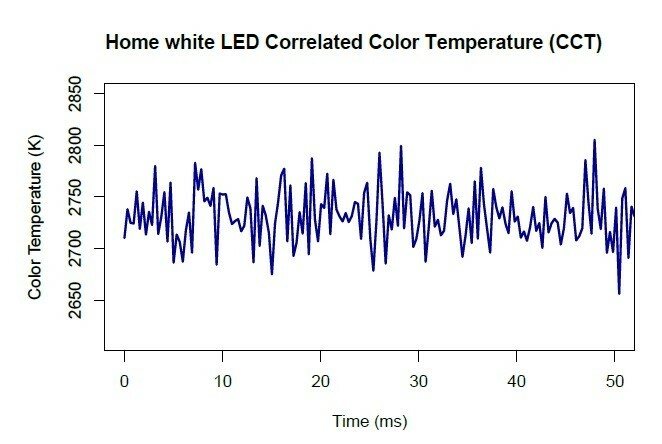 While the plot was limited to just 50 ms to show the traces clearly, we recorded 10 seconds of oscillations, which would allow analysis of the entire length to look for spikes or other irregular blinks. 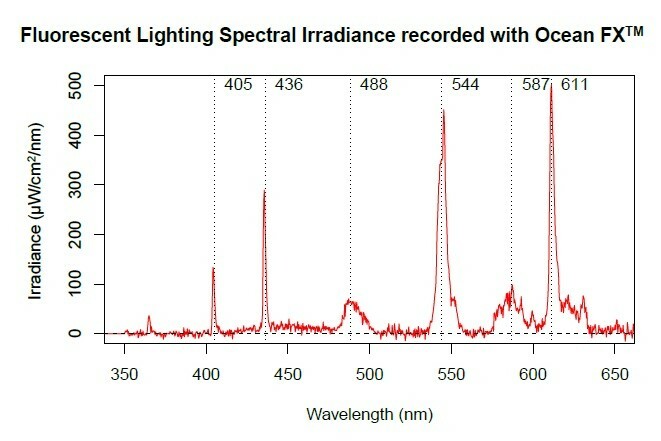 It is also interesting to note that all but the 405 nmand 436 nm mercury lines reach their minima at different times. 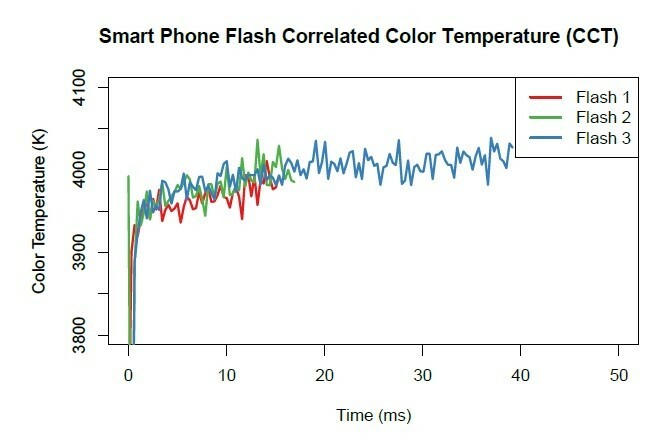 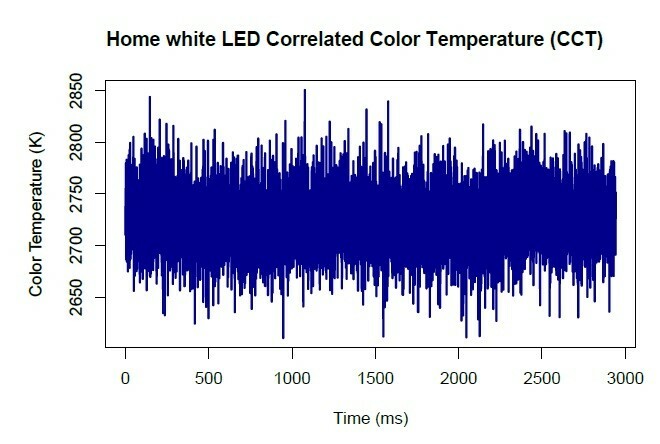 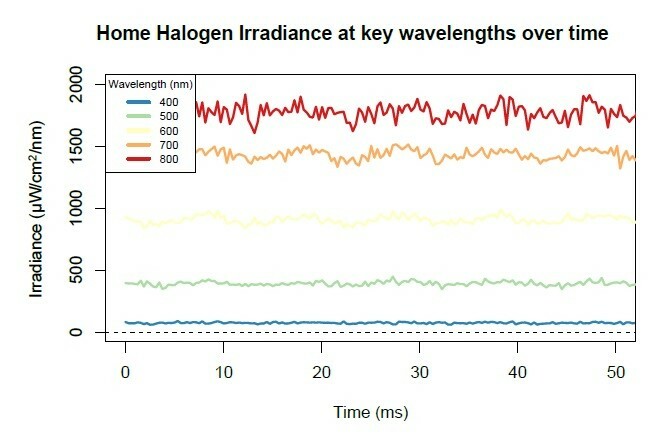 These oscillations are phase-shifted relative to each other, which means that the color temperature must oscillate as well. 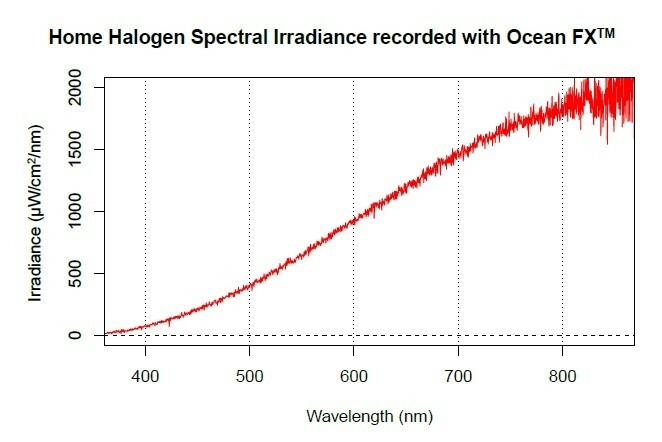 As the spectrometer used was radiometrically calibrated, we then performed calculations to determine the color temperature of the light source as a function of time. 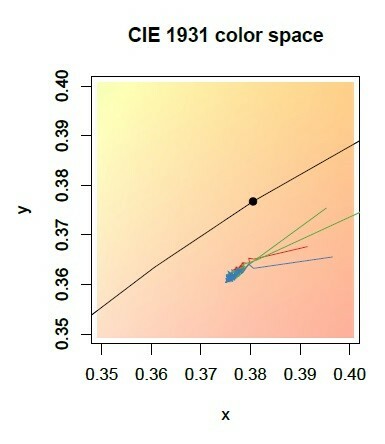 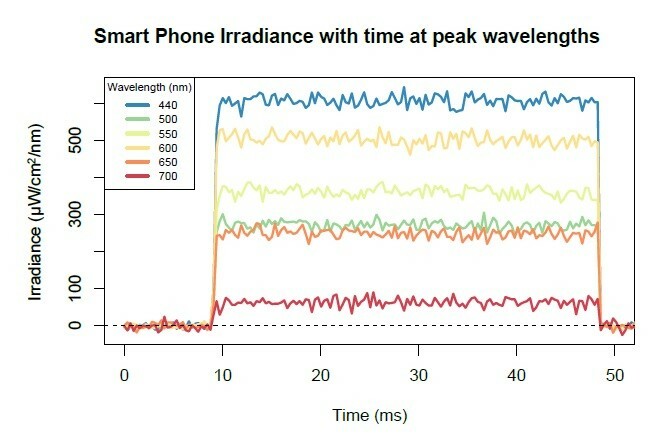 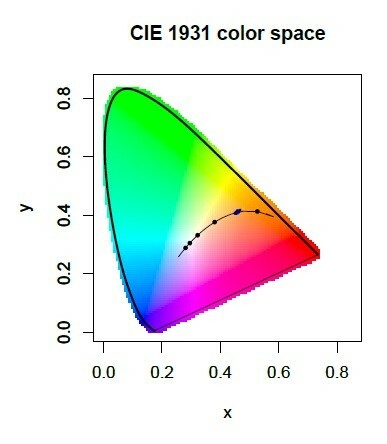 Interpolating the spectrum in 1 nm steps, the tristimulus (XYZ) values were calculated, as well as the color temperature (Robertson approximation). 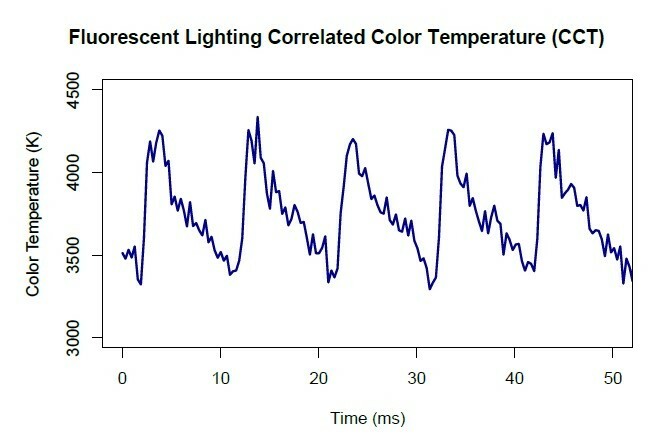 Plotting the resulting color temperature over time, we see a significant swing at the same oscillation frequency. 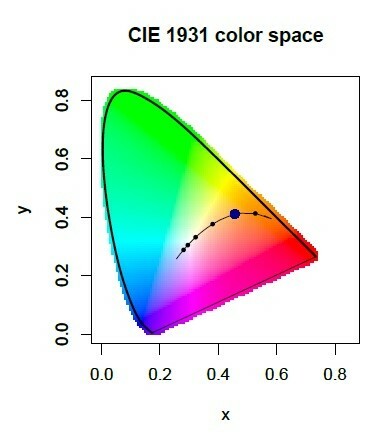 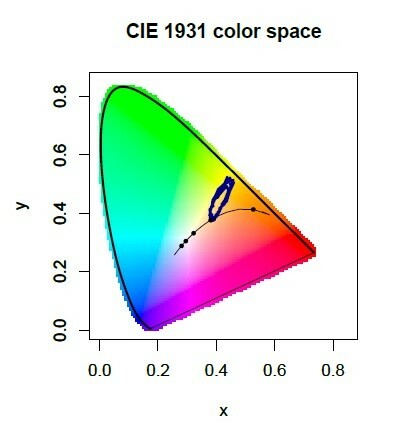 This is also borne out in a plot of the chromaticity (xy color coordinates) of the overhead fluorescent lamp over time.